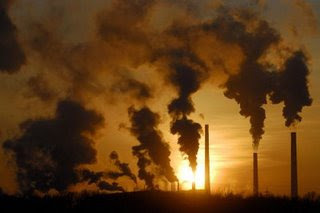 The largest source of carbon emission leading to global warming is by burning of fossil fuels. The developed countries are the largest per capita emitters of carbon dioxide because of their high level of economic activities. Because fossil fuel is needed for economic activities and wealth creation, carbon emission seems to be not an issue for these developed countries. Instead, they even demand the OPEC countries to increase petroleum supplies so that more fossil fuel can be burned (more carbon emission) to sustain their countries economic growth. Nevertheless, when it comes to the use of palm oil as biofuel, the argument is completely altered. The carbon dioxide emission from palm oil biofuel is blamed as contributing to global warming. They are also scheming to blame palm oil biofuel as non sustainable due to deforestation claims by NGOs. Attempts are made to disqualify palm oil from being considered for biofuel in the EU, and Oregon and Minnesota States in the USA without any scientific basis. Yet, palm oil is an agricultural commodity, similar to soyabean or rapeseed oil that has been traded in the world market for decades. Oil palm cultivation has long been an economic activity of Malaysia and other developing countries. Curtailing Malaysia’s economic activities by restricting the use of palm oil in biofuel is unfair – as there is no curtailing of the use of soyabean oil or rapeseed oil for biofuel. Similarly, the use of fossil fuel continues, although it is known to emit the maximum amount of carbon dioxide. Malaysia has a right to use part of its land for agriculture. Approximately, 20 % of total land in the country is under agriculture, while 60 % is reserved as permanent forest. Putting a stop to agricultural expansion for a developing country whose assets are in agricultural land is unfair. The developed countries do not stop expanding the use petroleum fuel knowing that this will affect their economy although fossil fuel emits maximum carbon dioxide and causes global warming. Malaysia’s agricultural area of 6.5 million hectares represents a mere 0.08 % of world agricultural land area. It is generally agreed that most of the world agricultural land was originally forest. Therefore the forest utilised by Malaysia for agricultural activities must be 0.08% of total world forest used for such purposes in the past. Since oil palm occupies 66% of Malaysia’s agricultural land, only 0.05 % of the world’s original forest which was lost to agriculture was used for cultivation of oil palm by Malaysia. Since 6% of oil palm area in Malaysia was peat land, the world forest land lost to agriculture due to planting of oil palm on peat was 0.005%. I fail to understand how the NGOs are blaming the oil palm as a large source of carbon emission when the amount of peat land used by some farmers who plant this crop to support their families is only representing 0.005% of world forest lost to agriculture. If one intends to find the real culprits for the cause of deforestation due to agriculture, there are many other crops and countries that can be singled out. As a perennial agricultural crop, Malaysian oil palm is in fact a carbon sink as all the oil palm trees provide all- year- round green cover for 97% of the total oil palm areas ( 3% is under relanting). The oil palm plantations behave as a planted forest in terms of carbon sink properties, and as an agricuiltural crop, it supports an important economic function of Malaysia similar to soyabean which supports the economic function of many countries. There are also questions posed on biodiversity in oil palm plantations. But what about other crops that are planted elsewhere? Do they have biodiversity on their agricultural land? It is not fair to insist on high level of biodiversity to exist on our oil palm areas because it is an agricultural crop. Biodiversity exists on the permanent forests which have been generously provided for in Malaysia’s land use policy. It is not fair to ask Malaysia to sacrifice its agricultural activity as the carbon emission saving is neglible. It is far more ironic to know that the developed countries that speak so highly of good standards and claim to be saving the planet from destruction refuse to set good examples themselves as they continue to ask OPEC countries to increase petroleum supply (certain to increase carbon emission) to fulfill their economic appetite.